"India: A Celebration of Independence, 1947-1997" commemorates the 50 th anniversary of India's independence from Great Britain. 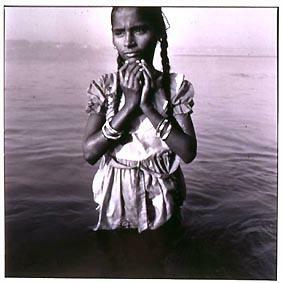 The exhibition includes about 240 of the most aesthetically and culturally significant photographs made in India, by Indian and Western photographers, during the past 50 years Artists represented include Henri Cartier-Bresson, Sebastiano Salgado, Raghu Rai, Swapan Parekh, Dayanita Singh and many others. The exhibition documents important events and personalities of India from its independence from British rule to the present. At the same time, it presents a vivid portrait of the people - both in their traditional way of life and in the many changes that have transformed it in the 20 th century. 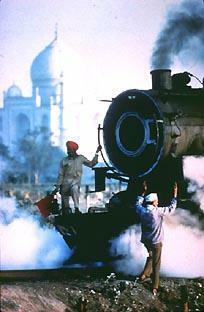 Cartier-Bresson records many events from the last days of the British Raj and the early days of the Indian Republic. Rai presents a fascinating combination of contemporary and traditional India, while Salgado dramatically documents the trials and joys of Indian working communities. The photographers have captured the essence of the country, and their work conveys the deep and complex love that permanently binds both native-born and foreign artists to India and its people. The exhibition and its international tour are made possible by Ford Motor Company. Additional support was provided by The Pew Charitable Trust. Air India is the official airline fur the exhibition. The accompanying catalogue, published by Aperture, is supported by Eastman Kodak Company. 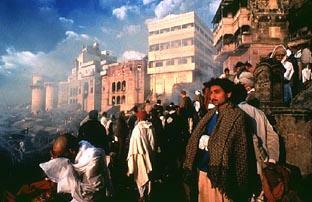 Burning Ghat on the Banks of the Ganges, Benares, 1992.
Credit: © Raghu Rai/Magnum Photos.